So after making the flower brooch yesterday afternoon I felt confident enough to start the cushion. So after putting the girls to bed I sat down on the sofa and put ‘Call the Midwife’ on the TV (it’s a drama set in 1950’s London following a group of midwives attached to a convent – sounds random but it’s based on the memoirs of midwife Jennifer Worth). I printed off the pattern from the blog at attic 24 and used this as acrochet template (I like to alter projects as I do them). Anyway below is the product of a couple hours work. I’m looking forward to doing some more of it tonight. Hi Jeannie!! Thanks for visiting my blog. 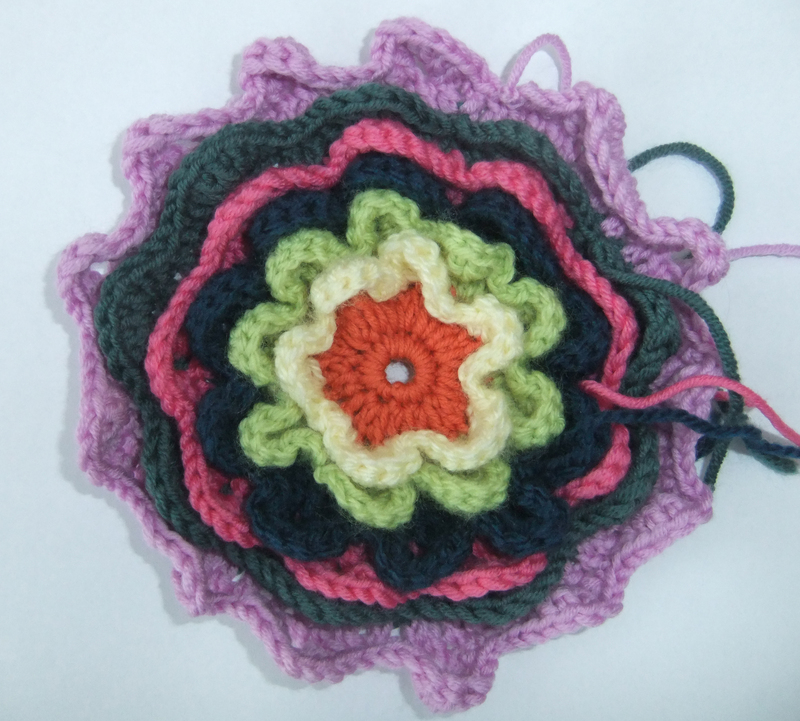 I to am making a version of the blooming flower pillow from Attic24. Just have to stuff mine and I’m done. Fun project to do and I love yours so far. Great color choices. I’ve enjoyed visiting your blog and plan on stopping back often.